Not to overuse it, but we needed this like cake on our birthday. Go behind the scenes of All Time Low's colourful new video for 'Birthday'! 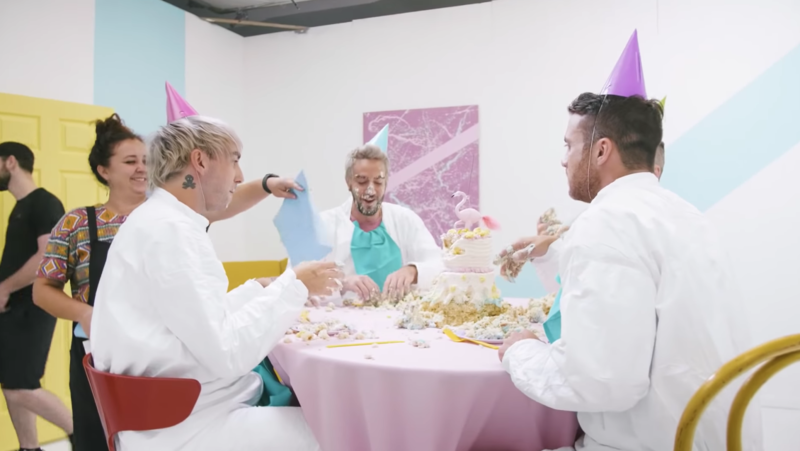 All Time Low have posted a video where you can see exactly what went in to the making of their latest video, including an exploding cake, a rigging system to spin the table around, and a mishap with drummer Rian Dawson. It's illuminating.